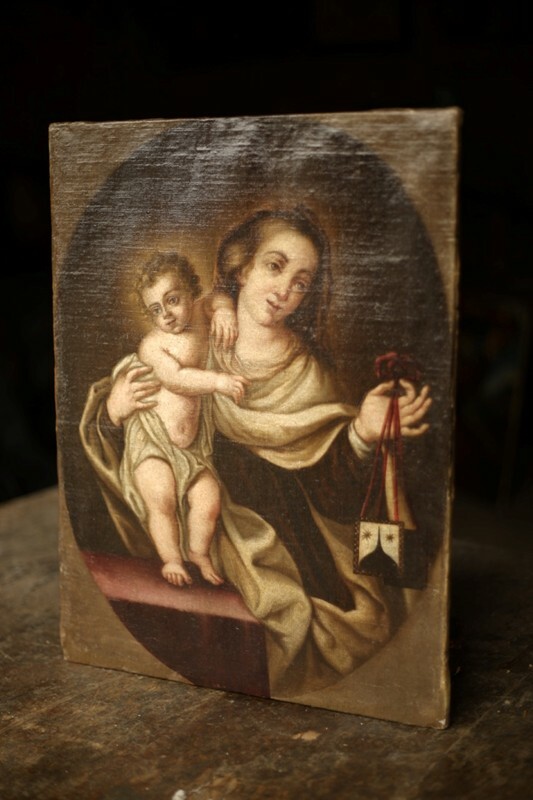 This is a truly stunning 18th century oil on canvas painting of Mary? and child. The quality is very high with no faults even after so long. It has a subtle use of colours and the details throughout are superb. The look of the piece makes this very attractive and also decorative. You don't have to be religious to appreciate the decorative appeal and quality of this piece. It is Spanish in origin.